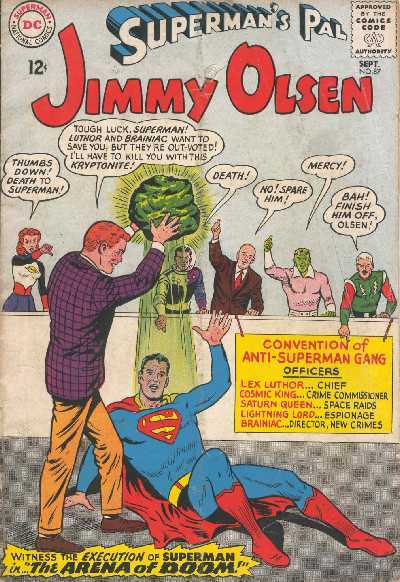 SUPERMAN'S PAL JIMMY OLSEN NO.87 (September 1965) Cover by Curt Swan & Sheldom Moldoff. "The Arena of Doom" by Jerry Siegel / Al Plastino. (LSH). "Bizarro Jimmy, Rock 'n' Roll Star" by Jerry Siegel & John Forte. "Oracle Olsen's Future Scoops" by Otto Binder / Curt Swan & George Klein.